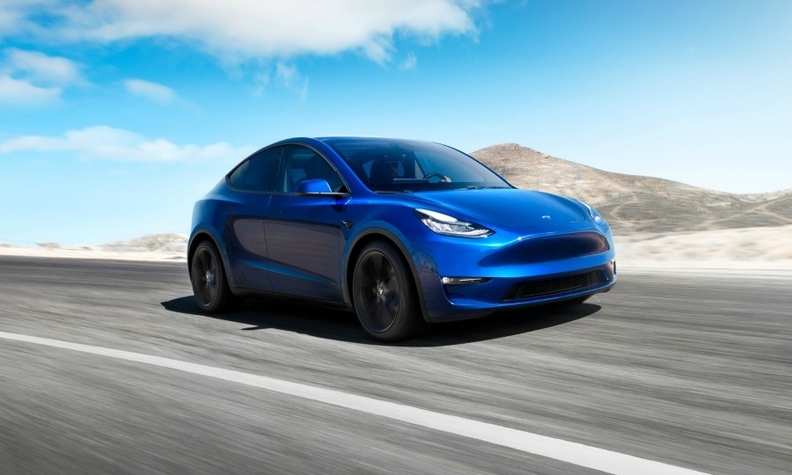 SAN FRANCISCO – Tesla unveiled its Model Y, promising a much-awaited crossover that will face competition from European automakers rolling out their own electric rivals. CEO Elon Musk said the battery-powered car, built on the same platform as the Model 3, would first debut in a long-range version with a range of 300 miles (482 km) priced at $47,000. Higher-end versions will start delivery in the autumn of next year. A standard version will be available in spring 2021, priced at $39,000 and with a 230-mile (370 km) range, Tesla said. The vehicles can be configured to include 7 seats for an additional $3,000. Musk unveiled the vehicle at a 40-minute event at Tesla's design studio in Hawthorne, outside Los Angeles, that was streamed live online. SUV and crossovers are fast-growing segments in the United States, Europe and China, the world's largest auto market, where Tesla is building a factory, making the Model Y well positioned to tap demand. Tesla currently has two sedans in its lineup -- the high-end Model S and mid-priced Model 3 -- plus a costly crossover, the Model X.
Tesla has enjoyed little competition so far for its sedans, but competition for electric SUVs is heating up as Tesla tries to master a new set of economics from the luxury line that made its reputation. Tesla's targeted volume production date of late 2020 for the Model Y would put it behind electric SUV offerings from Audi, Mercedes-Benz and Jaguar. In a challenge to Tesla on its home ground, Audi unveiled its e-tron crossover in Richmond, California, last September. The e-tron, which has a 400-plus-km (248 mile) range, is currently being rolled out in Europe and will go on sale in the U.S. in the second quarter. Mercedes hopes to lure Tesla customers with its EQC, which launches this year with a range about the same as the Audi e-tron’s. Jaguar's I-Pace, already on sale, delivers a 480 km (300 mile) range. Getting the new vehicle into production quickly will be key for Tesla to build on the momentum of its Model 3, which has catapulted the automaker up the sales charts and helped Musk post back-to-back quarterly profits for the first time. The new Model Y may also help Tesla shift its lineup toward the tastes of U.S. consumers, who are increasingly ditching sedans for bigger crossovers and SUVs. "Entering the SUV/crossover market effectively doubles Tesla's addressable market," Gene Munster, a managing partner of venture capital firm Loup Ventures, wrote ahead of the event. Musk, 47, took the stage at Tesla’s design studio before a crowd of customers and fans, but was uncharacteristically subdued. He spent much of his presentation talking about the company’s struggles with manufacturing. "He was not the usual charismatic Elon Musk. He was super low-key," said Michael Harley, executive editor of Kelley Blue Book, who was at the event. "He was almost apologetic. It was a bit of a reality check. People in the crowd like the car, but Musk only spent a fraction of his time talking about it." Musk is beset by public battles with regulators, a flurry of securities lawsuits, cost cutting and layoffs. Tesla, two weeks ago, said it would close most stores and use savings to cut the price of most cars by 6 percent. But last week, Tesla reversed course and said it would leave many stores open and raised prices back by about 3 percent.